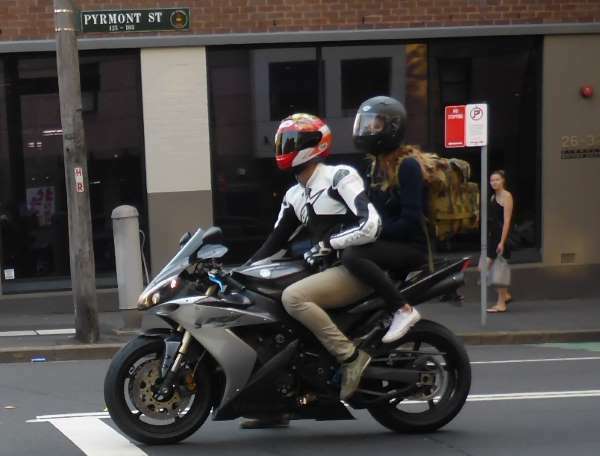 What should a pillion passenger do when you stop? What should a pillion passenger do when you stop? A. Place the same foot on the ground as the rider. B. Place both feet on the ground. C. Keep both feet on the footpegs. Correct. The rider is in control of the motorcycle when it stops. The pillion passenger's feet should remain on the footpegs.